The past return, originally uploaded by clydeye. 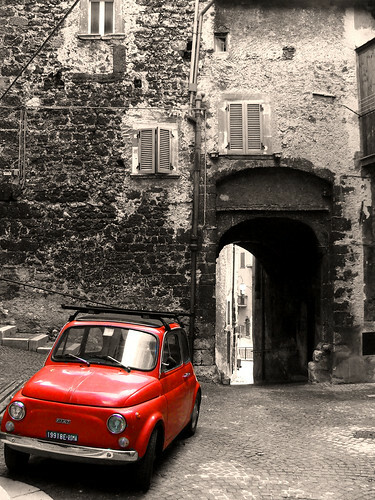 No matter what color, when a Fiat 500– cinquecento — rumbles past or is peacefully parked…you have to look and smile. This nifty, compact car has survived generations and still oozes character and desire. I liked your blog (writing & pics) and added to my bookmarks.. good luck & love. I have added link to my fiat 500 post in the website section.